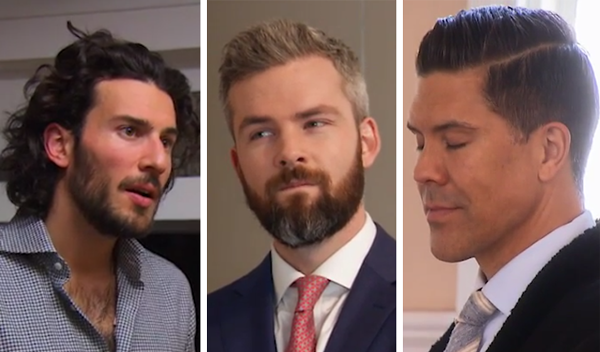 On this week’s episode of “Million Dollar Listing New York,” Steve mixes friendship and business, while Ryan deals with the downside of viral fame. Fredrik is getting the ball rolling at 45 East 22nd Street, but goes head-to-head with the developer over one of the building’s priciest pads. While there are no rules advising a broker against representing his or her close pal, maybe there should be. Steve agrees to sell the West Chelsea apartment of a good friend named Sam, an interior designer whom he hopes could open some doors to future clients. To put the icing on the cake, Steve assures him he can sell the cool-yet-customized pad for more than the $900,000 he wants for it. Sam isn’t so hot on the idea at first, but ultimately settles on a $1.2 million price tag. Unfortunately, they do not. The first set of private showings begins on a bad note when Sam fails to relocate his incredibly cute yet alarmingly yappy dogs from the apartment. The piercing pups, however, turn out to be the least of Steve’s concerns. The potential buyers are unimpressed by Sam’s “upgrades,” with the highest offer coming in at $1 million. He changes course by scheduling an open house — a move he thinks will bring in the “right” type of crowd to this unique apartment. Only Sam doesn’t want a crowd at all. When Steve shows up for the open house, Sam launches into a fit of sleep-deprived rage. Having just flown in from London, he forces Steve to cancel the event so he can get some rest. What’s more important? A measly $1.2 million, or sleep? It appears that Ryan has met his match. After losing out on a townhouse on the Upper West Side, he fields a call from his brother, who wants to help his buddy find an apartment in the city. Nick seems like a fairly reasonable guy — an up-and-comer who’s looking for a two-bedroom apartment in the range of $2 million to $3 million. What’s not so reasonable is that Josh “The Fat Jew” Ostrovsky must accompany him to each and every listing appointment. The viral comedian inserts his limited real estate knowledge at each and every turn, making it nearly impossible for Ryan to do his job. Finding the ideal two-bedroom apartment in Manhattan at his price range is also proving to be a difficult task. Once he sees what his money can (and can’t) get him, Nick bumps the budget up to $4 million. He takes advantage of a very small window where The Fat Jew won’t be there to throw in his two, three and four cents. Ryan brings Nick to a tricked out apartment in a new development just off the West Side Highway. The two-floor condo has everything he wants — including a retractable wall that opens up to terrace. It seems perfect, but guess who needs to say it’s perfect? The Fat Jew! Nick won’t pull the trigger on the $4 million pad until he’s consulted his famous friend… who’s not even there to see it. After a few failed attempts to reach Ostrovsky, Nick puts on his big boy pants and makes the decision to buy the apartment all by himself. Looks like it’s back to posting memes and sipping on White Girl Rose for the Fat Jew. The pressure is on at 45 East 22nd Street, where Fredrik is having some difficulty unloading the more expensive, full-floor apartments, which start at $20 million. Meanwhile, he’s selling the half-floor units like hot cakes. Former “Million Dollar Listing New York” star and Douglas Elliman broker Michael Lorber makes a cameo, but his client’s only interested in the more down-to-Earth apartments. Fredrik seeks peace in Roxbury, Connecticut, where he discusses the rough patch he and Derek hit following the miscarriage of their twins. Thanks to some regular church-going, Fredrik is more zen about their situation, and even confides in Pastor Cheryl that they’re now looking for new egg donor, surrogate and doctor. Though Fredrik has resolved some negativity in his personal life, he’s still having trouble getting Madison Square Park Tower’s full-floor units out the door. To reach an audience that extends beyond his own Instagram fam, he taps 55 of the city’s biggest social media influencers to post about the project. A meeting with the developer, Bruce Eichner, proves that buzz is finally building around the tower. Eichner tells Fredrik that one of his showings paid off — but for whatever reason, takes credit for selling the $22 million pad. Not so fast, Eichner! Beside some contractual obligations he must adhere to, Fredrik has indeed sold not one, but two of the pricier pads. Besides the $22 million condo Eichner has laid claim to, Fredrik also sold a $19.5 million unit to a Greek shipping family. Regardless of who’s sold what, he walks away with $1,245,000 in commission. Only 20 half-floors and two pretty pricey penthouses to go.